2018 LinkedIn Profile Checklist - New job. New opportunities. Now! By ExcellenceResumes – World’s Leading Resume and LinkedIn Profile Optimisation Agency. Scroll down to access the “Ultimate LinkedIn Profile Checklist”. Important Notice: ExcellenceResumes has recently released the most efficient job-hunting, recruitment interview, and salary negotiation guides of all times. They will change the way you have been searching for jobs and handling interviews forever. 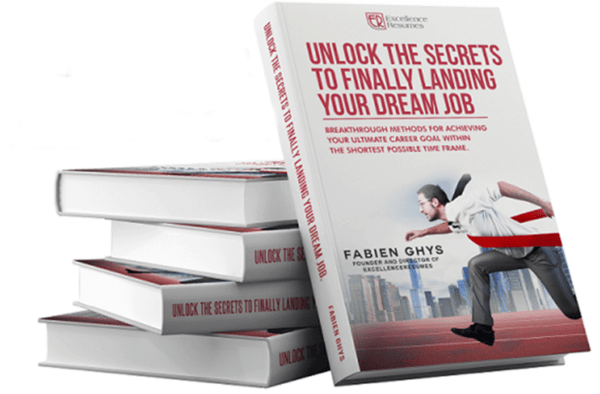 With these guides, you will land more interviews, improve your conversion rate, and be offered better roles, with a higher salary. Some of our clients land their next role in only a few days, others manage to negotiate salary raises of more than 70%. 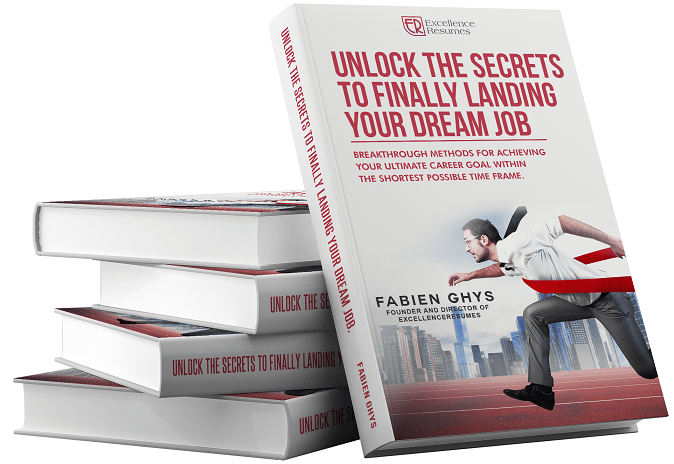 These guides come for free with any triple package: Resume + LinkedIn profile + Cover Letter Optimisation. Note 1: This complimentary checklist aims to help a maximum number of people understand the “secrets” for a LinkedIn profile that gets results. Please enjoy it, learn from it, and most importantly: TAKE ACTION! Note 2: Be kind! SHARE this checklist with a maximum number of people. Use the sharing bar at the side or at the top of your screen to send it to your friends and colleagues via Whatsapp, Facebook, or even to create a LinkedIn post that will get you some profile views! Feel free to mention @Fabien Ghys, Director of ExcellenceResumes, for even more exposure. ⚠️ THE LINKEDIN PROFILE CHECKLIST STARTS HERE. READY? GO! Are you looking for a new job, or for more business on LinkedIn? Would you like to know how to attract recruiters or potential clients who are eager to discuss professional opportunities with you? Do you wonder why your LinkedIn profile is NOT GENERATING OPPORTUNITIES? Are you asking yourself why some people receive many more LinkedIn invitations than others from recruiters and companies who want to WORK WITH THEM? We have the answers. The way you position yourself on LinkedIn is CRITICAL to your success. Optimising your LinkedIn profile, although an often difficult and tedious task, is crucial to your success and you can’t afford to make any mistakes. All the Recruiters are on LinkedIn, and they are constantly searching for talents, but there are thousands of people with profiles similar to yours. You MUST stand out from the crowd. 1- You must look professional and convincing. 2- Your profile must be optimised with all the relevant keywords. 3- The content must be well-written and persuasive. 4- You must engage and be active on the platform. We have created the checklist below to help you with your job search, or to help you find more clients. While not all the boxes are relevant to someone looking for business on LinkedIn, they all are for job seekers. Achieve 100% boxes ticked and your LinkedIn profile will definitely start to generate a raft of opportunities. Be honest with yourself and tick the box for ‘YES’ or leave it blank for ‘NO’. TICK THE BOX IF THE REPLY IS “YES”, and see you at the end of the checklist for the results! Do your LinkedIn Profile & Background Picture look professional? Does your profile picture CLEARLY show your face? Are you alone in your profile picture? Is your face free from unnecessary accessories? Hats, caps and sunglasses are NOT recommended in most situations. Are you SMILING in your profile picture? Was your profile picture taken by a professional? Is your profile picture less than 3 years old? Have you changed your background image? Is your background image relevant to your industry? Have you inserted a quote, a personal website address, a logo, or anything else that stands out in your background image? Is your background image in high-resolution? Low-quality images will negatively affect your hit rate. Is Your LinkedIn Headline PERFECTLY Written? Does your headline clearly show a unique selling proposition (USP) and/or at least one key area of expertise? Have you inserted at least one industry keyword in your headline? Is your current or targeted position clearly written in your headline? Did you maximise the use of the 120 characters (including spaces) available in your headline? Is Your LinkedIn Summary PERFECTLY Presented? Is your summary written in the first person? It is NOT recommended to write in the third person on LinkedIn. Does your summary start with a general statement describing your profile and expertise? Did you include at least one professional achievement in your summary? Have you included all your industry keywords and main areas of expertise in your summary? Have you included at least one call-to-action in your summary? It can be an email address, a website to visit, or even a phone number. Is your summary perfectly formatted? In other words, does it look organised? Do you use punctuation, symbols or bullet points to separate the different categories? Does your summary include any recommendations from colleagues or clients? A short sentence would suffice. Does your summary include attachments? It is recommended to attach a website address, recommendation letters and your resume, as well as any other positive supporting documents you may have. Do you make full use of the 2000 characters available for the summary? The content must, obviously, be relevant, but the more content, the higher your chances are that you will rank for the keywords included. Is Your Work Experience PERFECTLY Presented? Is all your relevant work experience in your profile? Are all the work experience dates correct? Do you clearly separate your responsibilities from your achievements for each position? Are your achievements quantified? If confidentiality is an issue, use percentages instead of values. Are your achievements detailed? Do you clearly explain how you achieved the results? Do you have at least one colleague or client recommendation per position? Ask for recommendations if you do not have any. Do you use bullet points and/or symbols to list your achievements? Is everything accurate and verifiable? Do you make full use of the 1600 characters available for each position? The content must obviously be relevant, but the more content, the higher your chances are to rank for the keywords included. Is Your Education PERFECTLY Presented? Are all the dates correct? Did you include the scan of your diplomas as a proof that you actually passed the exams? Did you translate your diplomas into English, if relevant? Did you add the maximum number of skills (50) to your profile? Having the maximum number of skills will help your profile rank higher. Have all your skills been endorsed by at least tens different people? There is no magic number here, but ten endorsements per skill is a good start for a beginner as it will help your profile rank higher. Are all your skills relevant to your profile? Have you been recommended by at least five people? Again, there is no magic number, but getting at least five recommendations is a good target as it will boost your credibility. Have you added your languages, and if relevant your awards and other recognition? Did you use premium software to check your content or have it proofread by a professional? You cannot afford grammar or spelling mistakes. Did you check how your profile looks on other devices? We recommend you check it out on PC and MAC and on IOS and ANDROID from a mobile. Did you insert your real name? Avoid nicknames, you must be easy to find in any searches. Are your industry and location up-to-date? Did you go through ALL the settings, with no exception, and verify them all? Do you explore the “JOBS” menu at least once a week to see what is in there for you? Do you post at least once a week? Short posts are good. Did you post at least five long articles on LinkedIn? Well researched articles help you gain authority within your industry: recruiters love them! Do you engage with other users’ posts and articles at least once a week? Engaging with posts and articles helps boost your visibility. When you message someone, do you always try to establish a relationship before asking for a favour? When you message someone, do you always add greetings at the beginning and end of your message? Before sending a contact request to someone, do you always double check what this person does to make sure you know exactly how they can help you? When sending a contact request, do you always add a personalised note? Did you shorten your LinkedIn profile URL? A personalised LinkedIn URL without any number looks way more professional. Did you activate the “open profile” option? It allows people to contact you via “inMail” without having to purchase any credit for it. Do you check at least once a week “who has viewed your profile” and visit these profiles back to see what they do and if you should connect with them? Do you make use of all the “inMails” included in your subscription? Did you make use of the “on-demand learning” included in your subscription? Do you know exactly what you are paying for? From these 65 boxes, identify how many are NOT TICKED and, once you are done, keep reading. This checklist has been kept to its most simple form. At ExcellenceResumes, we go through the process in much more detail to ensure that our clients’ LinkedIn profiles convert as effectively as possible and get them hired fast, or get them more business. ➡️ If you failed to tick 12 boxes or more, you need to start working on your profile right now. It is a top priority. Alternatively you can get our help by clicking HERE, and get your LinkedIn profile sorted in three days only. Click on the Facebook, Whatsapp or LinkedIn logo at the side or at the top of this page, and send this checklist to your friends! Want to take a shortcut and delegate this tasks to the experts?